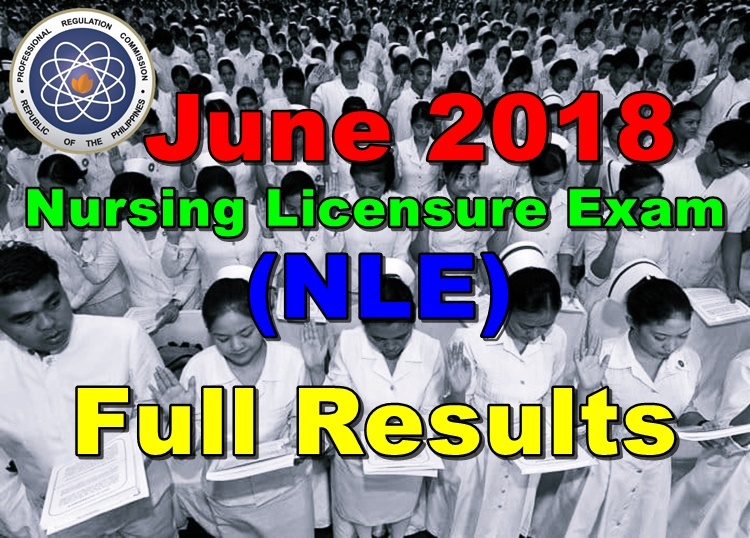 The Professional Regulation Commission (PRC) was about to release the official results of June 2018 Nursing Licensure Exam (NLE). The official list of passers, top 10 passers, top performing and performance of schools for of June 2018 Nursing Licensure Exam (NLE) will be available at this site after it was released by PRC. PRC together with the Professional Regulatory Board of Nursing administered the licensure examination at various testing centers in Manila, Baguio, Cagayan de Oro, Cebu, Davao, Iloilo, Legazpi, Lucena, Pagadian, Tacloban, Tuguegarao, and Zamboanga on June 3 & 4, 2018. The licensure examinations are given by the PRC Board of Nursing members Glenda S. Arquiza, Chairman; Carmelita C. Divinagracia, Gloria B. Arcos, Carfredda P. Dumlao, Florence C. Cawaon and Cora A. Añonuevo, Members. Nursing Practice V– Care of Clients with Physiologic and Psychosocial Alterations (Part C). The official results of the board examinations might be released from eight (8) to twelve (12) working days after the exam. However, the results might be released earlier or later than the target date without prior notice.